Our Fellow and dear friend Thembi Losi passed away in Mozambique, on Monday, 30 December. 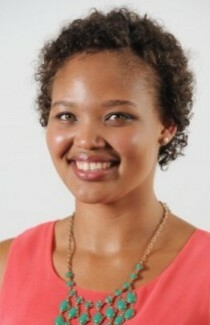 Thembi was selected as a Candidate Allan Gray Fellow as a matriculant from Alexander Road High School, starting in 2009 and graduated from the Fellowship at the end of 2012. During this time she completed her Bachelor Business Science (Economics) at the University of Cape Town. Thembi was selected for the Rand Merchant Bank Graduate Programme. Thembi was a beautiful human being. Those who were close to her, will bear testament that she embodied the now famous quote; “when we shine, we unconsciously give others permission to do the same”. Her light and radiance, her warm and heartfelt smile and her authentic approach made even the briefest encounter feel like a special gift. Her manner was filled with love and she made those that she engaged with feel like they could accomplish anything. Her humility and respect for others was truly remarkable. Thembi also carried immense passion for South Africa and the Africa continent as a whole. Her intention to affect change made it clear that she was destined to make a significant contribution. She had already in her short career been selected for the South Africa Washington Internship Programme in 2011, studied a summer course at the London School of Economics in 2012 and was first runner up in the 2013 Old Mutual Nedbank National Budget Speech Competition. Although Thembi won’t live to see her vision realised, we believe that her life and death have changed the lives of those whom she had touched. Thembi will be remembered as someone who absolutely LIVED. She lived every moment full of joy, gratitude and purpose and she encouraged people around her to be unrelenting in their pursuit of fulfilling their purpose. Thembi will also be remembered for her strong faith – she firmly believed that hands that served were holier than lips that prayed – her life was therefore one of service to those around her. Thembi was a gift to us all. Her untimely death is mourned by many and our heartfelt condolences go out to all that knew and loved her. The Foundation particularly grieves her untimely passing and celebrates the full and wonderful life that she lived. We hope that our continued pursuit, as a community; to affect positive change, will honour Thembi’s life.